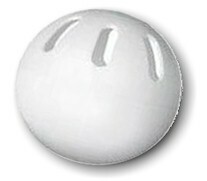 I recall a lot of wiffle ball at school during winter time--easily played in the gym. Practical. You get to really hammer the ball without it going into the neighbor's yard. My brother and I spent so many hours playing wiffle ball, but we preferred the solid ones, because we would always break the slotted ones.